My mother and husband are from a small town on a small island in Newfoundland. The island is called Change Islands. It’s a beautiful spot full of history and wonderful people. I didn’t appreciate it when I was young and had to spend my vacations there, away from my friends in the city. But as I get older, I can see the beauty and peacefulness that that rock in the middle of the ocean has to offer. I can’t do it justice in my writing (at least not yet). 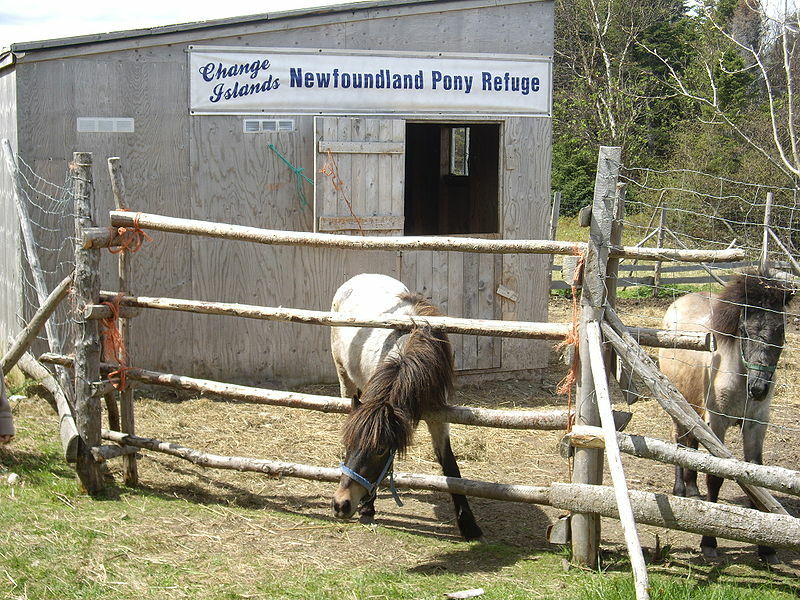 So I will share with you an article about a pony sanctuary that has been built on the island to help increase the quickly dwindling numbers of Newfoundland ponies. The woman who runs the sanctuary and cares for the ponies as if they were her children is my husband’s aunt. 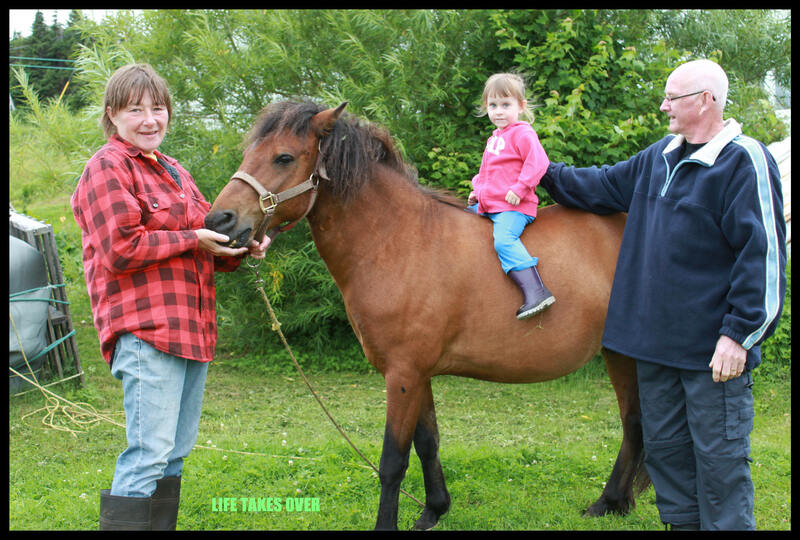 Big Sister visiting the ponies on Change Islands with her Poppy and Aunt Netta. If you ever have a chance to visit that part of Newfoundland, a visit to the ponies on Change Islands is something you won’t want to miss. 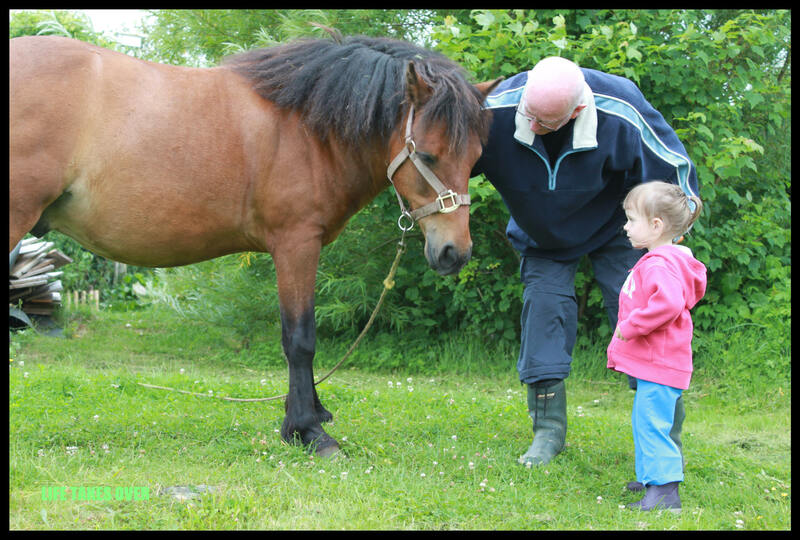 This entry was posted in Uncategorized and tagged animals, breeding program, community, family, Family, horses, Kids, nature, Newfoundland ponies, outdoors, travel, Travel on June 5, 2013 by Nancy. Thank you for sharing the photos and the story~every bit helps.